I've been using my Amazon Kindle for almost a year now. I enjoy the convenience of being able to download books to the unit without going to the bookstore or ordering a book and waiting for it to arrive. I won't go into all of the features of the Kindle because that's not this is about. When the unit is on and hasn't been used a screensaver comes on. Usually it's William Shakespeare or some other caucasian person. No James Baldwin or Alice Walker or Maya Angelou or any other person of color. 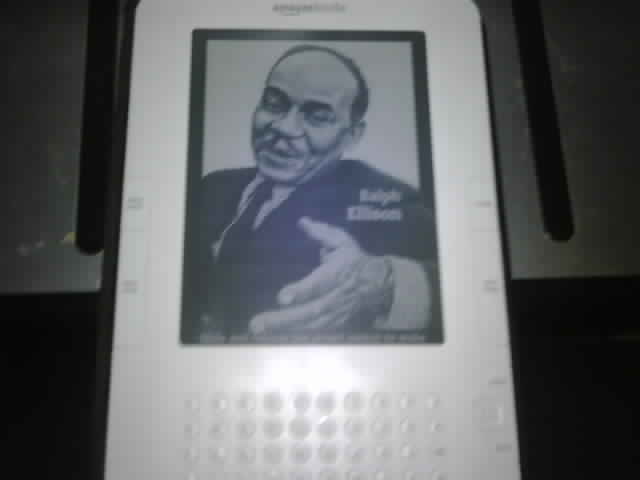 Imagine my surprise to see this screensaver of Ralph Ellison. I'd really planned to write Amazon about the lack of ethnic diversity in this feature. Either someone wrote them or they realized it on their own. Regardless the reason, I'm glad they made that move. Before someone starts with hateration about this post, if you don't understand why the diversity is important then that warrants another discussion. In the meantime, check out the Amazon Kindle or Barnes & Noble's Nook, or just go to a library, get a book and read. Sean "Diddy" Combs is immortalized in wax at Madame Tussauds Wax Museum in New York City. It's an amazing likeness. Combs is not the first rapper to be honored in this manner; Snoop Dogg and the Notorious B.I.G. are already among the celebrities honored. Here is a photo of a couple of visitors with a wax figure of U.S. golfing legend, Tiger Woods at the newly opened Louis Toussaud's Waxworks in Pattaya, Thailand. Tiger’s stock has surely dropped in the last few days because of his adulterous ways. The damage control needed to repair his image will be tremendous. You can’t unscramble eggs so Tiger just has to make the best of this situation and try to ride this one out. --- especially the jokes that will be brutal. In the meantime, it's a safe bet that Woods will be Huggy Lowdown's Bama of the Week...Week...Week.